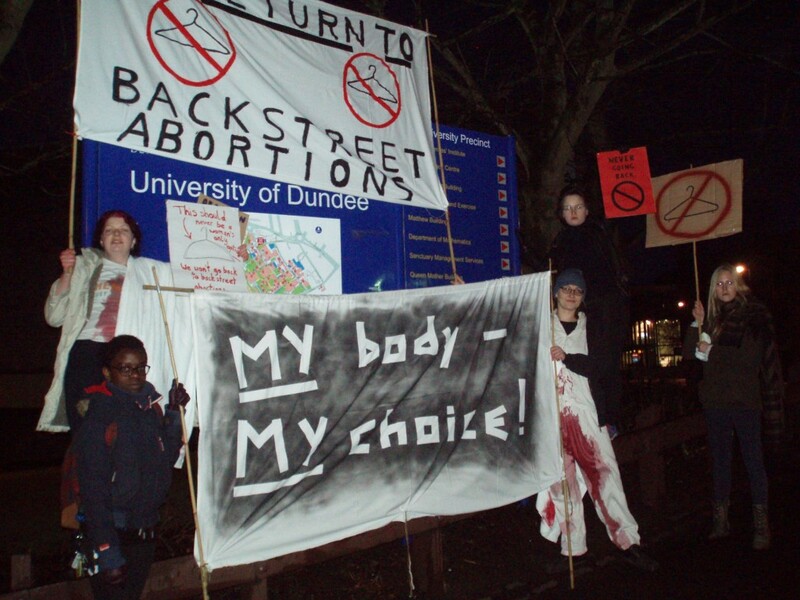 There was a blood-splattered protest at Dundee University on Tuesday 24th March 2015 when the Dundee Abortion Rights group protested against an anti-abortion lecture. 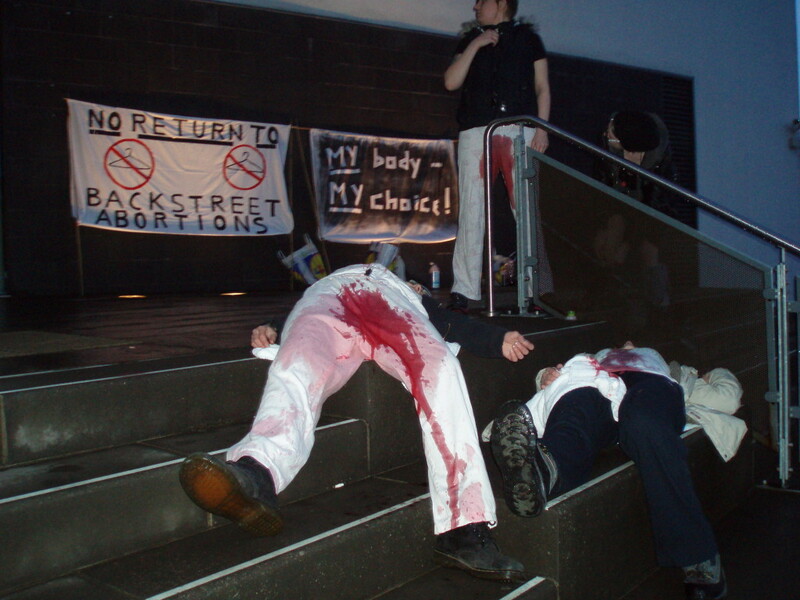 The women staged a ‘die-in’ outside the university’s Dalhousie building, wearing fake-blood-soaked clothes and holding placards supporting abortion rights in protest against a lecture hosted by Dundee University Life Society. Dr Mahesh Perera, a Consultant Gynaecologist and Obstetrician with Greater Glasgow and Clyde NHS, was giving a lecture to the Life society on ‘How to be a Pro-life Obstetrician in the NHS today’. Are you an Abortion Rights member in the Dundee area? Follow the Abortion Rights Committee Scotland Twitter account or get in touch with Abortion Rights Committee Scotland if you’d like to get involved.